As you plan what to do for higher education, it is important to consider both what you like and what will allow you to make a living. The arts are an integral part of society, and they are a part of everyday life. While art is often not considered to be a high-earning job, you can make the most of your creativity by considering one of these four degrees. If you like working with children and want to help them learn about history and techniques in art, consider earning a degree in education with an art specialty. This type of a degree would allow you to work at the elementary, middle or high school level and teach art theory, practice and history. You would be able to be creative and help others to discover their own favorite forms of art. When you enjoy both technology and creativity, consider a degree in digital media. Degrees in this field, like those available from UC Clermont College, are becoming more popular as many jobs now require skills with online and digital marketing, coding, social media engagement, and other techniques. You will learn how to engage with consumers and create digital media content that will help companies to grow their sales and traffic. Working with your hands and making something is a satisfying pursuit. Consider a degree in ceramics. This sort of a degree will require you to learn plenty of science, such as how the firing process works and how to mix pigments and glazes. You will learn a variety of pottery techniques, including pouring bisque, making slip, hand-throwing, sculpting, coil building and pinch pottery. Graphic design is another great college major for creative people. You will use a combination of computer programs and hand drawing to come up with designs for products, logos, websites and more. Graphic designers might design an album cover for a rock band or a new logo for an annual event. They also design the packaging of products and put together brochures. Your work could be in both digital and printed formats. Each of these four degrees gives you the chance to work with other professionals. You will also have the opportunity to educate others through your art. In some of these areas of expertise, you might even be able to grow your own business and work for yourself. 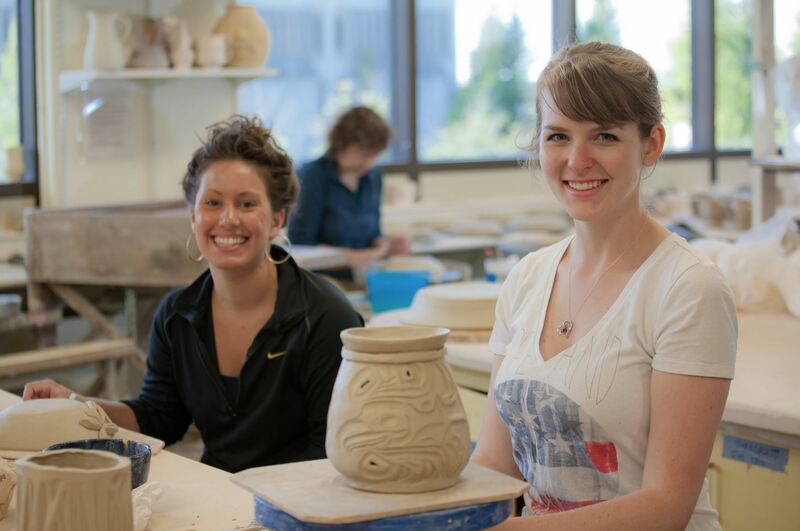 Consider taking a class in business or finance along with your art education classes.